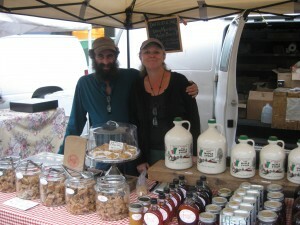 Hello, we are Howie and Steph Cantor, and we have been producing maple syrup in Vermont’s Northeast Kingdom for over 25 years. There is no activity that ties a person to the whims of nature as much as sugaring, and therein lies the attraction and the addiction. Sap flows in maple trees when the winter first starts to thaw into spring. Cold nights and warm days are generally what is needed, but you can never predict exactly what the trees will do or when they will do it. One’s very being and soul become inextricably linked with the flowing of thousands of gallons of liquid through the trees of the forest. To say it gets in your blood would be an understatement; to say it makes you an odd person to be around for eight weeks of the year is an undeniable truth. We live and work in the town of West Glover, 25 miles south of the Canadian border. Our farm, Deep Mountain, lies 3 miles outside of tiny West Glover village, home to the Lake Parker Country Store (where you can purchase our syrup) and Parker Pie Co., a gastropub that dishes out what is arguably the best pizza north of New York (with Deep Mountain Maple syrup in the crust!). Our “sugarbush” is a mighty stand of magnificent maples dotted with an occasional grove of spruce and fir laying on the hillsides overlooking lovely Parker Pond. 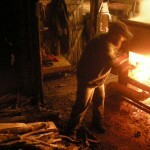 Deep Mountain Maple Syrup is wood-fired. 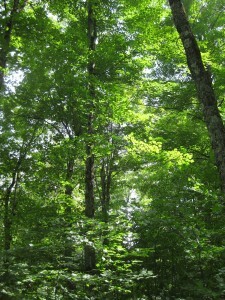 Large stands of sugar maples occur naturally in the forests of New England. These “sugarbushes” are interspersed with many other native species of trees and shrubs. 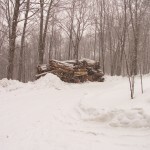 Each year, in order to create optimal conditions in the forest ecosystem both for the growth of the sugar maples and for sap production, some trees must be cut down and removed from the forest in a process known as “thinning.” In any orchard, the growth of excess vegetation must be controlled; a maple agroecosystem is no different. 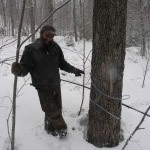 But in this case, the wood that is cut from the sugarbush provides the necessary fuel for the process of boiling maple sap down into pure and delicious maple syrup. Supplemented with waste wood from a local sawmill, our own maple forest is our main source for locally abundant, renewable fuel. While many maple producers have embraced the use of oil-fired sugaring operations in order to eliminate the need to cut firewood and to make boiling easier and faster, we remain firmly committed to a responsible, sustainable cycle of maple syrup production. Each tap is a small hole drilled into the tree. The sweet, clear sap flows from the taphole to tanks in the sugarhouse. We manage our maple trees using a “one-tap” policy; that is, only a select few of our oldest and largest trees receive more than one tap in a given season. Done responsibly, tapping does not harm the trees at all. A tap hole naturally dries up after a few weeks of sap production, as the small puncture in the tree begins to heal. Also, because of new technologies that move sap from the trees to the sugarhouse more efficiently, today’s maple spouts are much smaller than in the past. They require a smaller hole in the tree, which heals even faster. 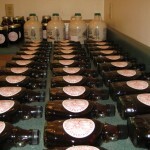 Our maple syrup is made without pesticides, herbicides, or chemical fertilizers of any kind. The maple trees here on our farm have everything they need to thrive. 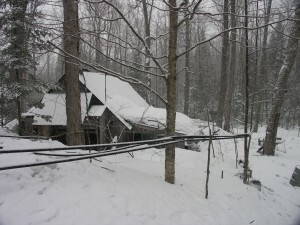 Fairly constant, generous rain and snowfall throughout the year; deep, long winters that slowly lose their grip to the warm, bright sun of early spring; and, above all, the rich and rocky soil that sugar maples love; these characteristic elements of the rugged heart of Vermont’s Northeast Kingdom combine to produce maple syrup that is absolutely unsurpassed in flavor and quality.